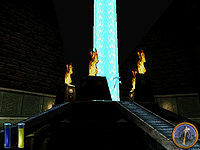 According to The Doors of Oblivion, years after Dagon's invasion was defeated, the mage Morian Zenas and his apprentice attempted to use the Weir Gate to enter Oblivion. 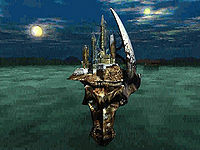 They found that although the gate still stood and the shattered academy remained accessible from Mundus, the link to Oblivion had been broken. However, this is contradicted by the Crafting Motifs series, according to which the two lived in the Second Era.